Do you get a little pang of anxiety whenever your phone gets called from an unfamiliar, unlisted phone number? Personally, I always do. These calls could be from an important business contact, so I try to answer them when I can. But more often than not, they’re just nuisance spam calls. Thankfully, there are ways to spot a spam call before you pick up the phone. Recently, the folks at Whitepages analyzed the 2.5 billion calls and texts routed through its Caller ID app to look for patterns that might identify telemarketers. They found that some area codes are home to far more spam callers than others, and came up with a listing of the top 10 spam area codes in the United States. 8. 202 – Washington, D.C. These cities aren't necessarily home to more spammers and scammers than others — just their phone exchanges are. These days, it’s easy for people to register and use phone numbers in virtually any area code regardless of location, so long as numbers are left available. A shrinking city like Detroit has a large number of unused phone numbers in its 313 bank, so there are plenty of lines for spammers to access. An established area code like New York City’s prestigious 212, meanwhile, has no phone numbers left to be registered and is thus is an unlikely source for telemarketing calls. There are a wide number of technological solutions for stopping telemarketers beyond avoiding calls from a certain area code. Registering your phone numbers with the National Do Not Call Registry at donotcall.gov is the best place to start. Smartphone owners can also download the Truecaller app, which automatically flags calls from known spammers. You should check out our How to Block Telemarketers guide for more tips, apps and carrier options. 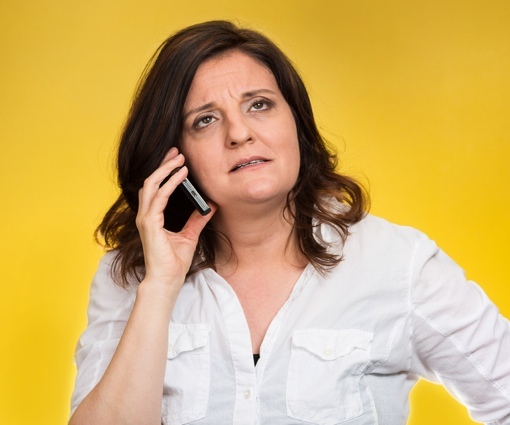 And, of course, the best offense is always a good defense, so be aware of the top 7 ways telemarketers get your cell phone number. In 2017 I blocked almost 100 different phone numbers because my (unlisted but DNC list) home number was getting a huge amount of telemarketing calls. All are from numbers not in my area code (which, by the way, is not one listed in this article). 901 (Memphis TN) with 28%. Of the area codes in the article, only 202 and 484 are included in my list, with 5% and 2% of calls respectively. Although 3 or 4 years have passed since the date of the article, it’s interesting. What area codes do other readers find are used by telemarketers? What has become far more common recently is for spammers to spoof your own number to make the call appear to be coming from the same area code and exchange. Presumably, this makes it more likely for you to pick up because the number is familiar and you may think it is coming from someone you know. For example, if my cell is 917-321-1234, I will see lots of spam calls from 917-321-XXXX numbers. And I’m seeing this practice on both my cell and landline. Ironically, this practice actually makes it EASIER for me to screen spam calls, because the likelihood I know anyone with a number so similar to mine is very small, so I assume every call with that format is spam.